It is very useful for the new beginers to learn permanent makeup. This product is 3D Permanent Makeup rubber Practice Skin ,used for permanent makeup learners. It is very useful for the beginers. You can change the eyes and month after you practice and then insert another eye and month. It is very convenient. Attactive price and superior quality is always considered for you. Looking for ideal Microblading Practice Skin Manufacturer & supplier ? We have a wide selection at great prices to help you get creative. All the Permanent Makeup Accessories are quality guaranteed. 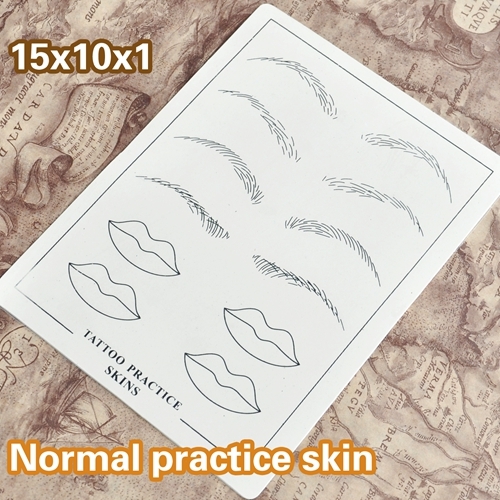 We are China Origin Factory of Permanent Makeup Tattoo Practice Skin. If you have any question, please feel free to contact us.